What with talking about Canada's Turbo Train, we failed to include a photo of the infamous train. 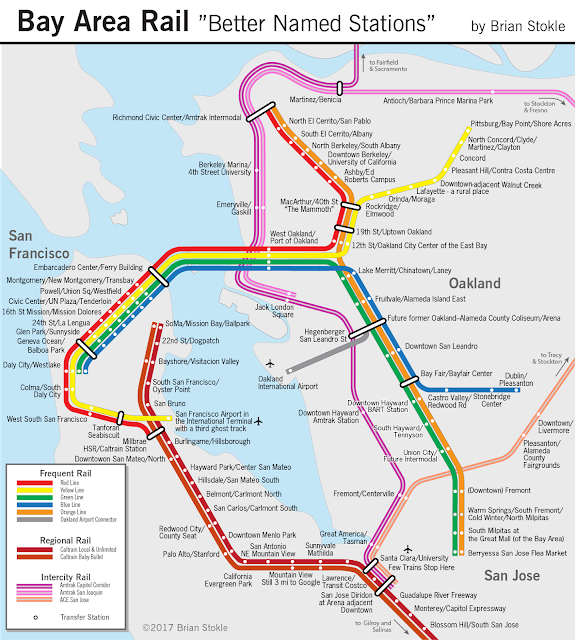 In fact it acutually was put into regular service not just in Canada, but also in the US. However they were not used for high speed service. 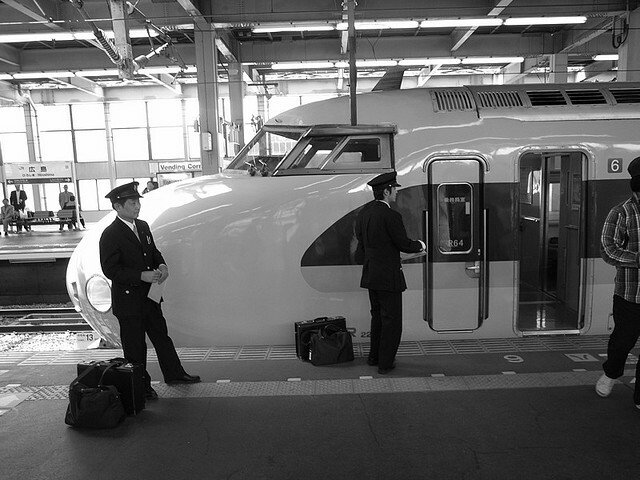 Searching for a photo of the train popped up some other "futuristic" funny looking trains. Below is just a scattering of what's out there. Most of the selection is actually American. 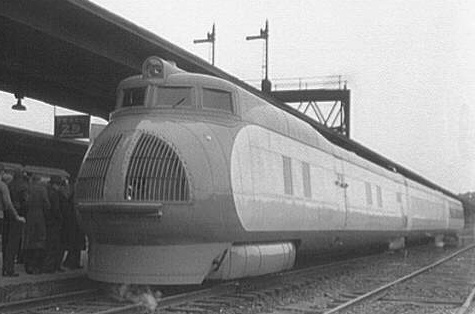 From the 1930s to the 1960s it appears we were very "can-do" with train design and experimentation. The wildest trains are two examples of jet or turbojet trains. Of course one of them is from the Soviet Union. The JET POWERED! M-497 Black Beetle - You got to hand it to the can-do 1960's. We may chuckle at this, but it takes a can-do spirit and "stick-to-it-iveness". The Black Beetle was an experimental train for the New York Central Railroad with 2 second-hand General Electric J47-19 jet engines (designed as boosters for the Convair B-36 intercontinental bomber) were mounted atop an existing Budd Rail Diesel Car. 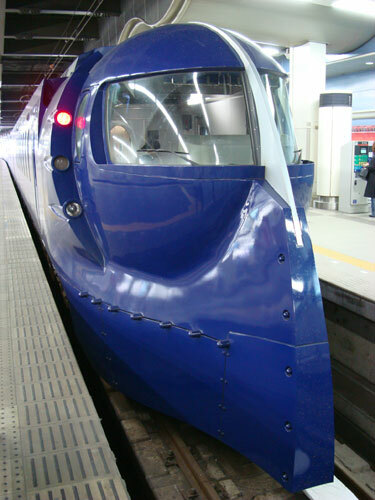 Back side of the M-10,000 Streamliner Train. Turbojet Train - not to be confused with the jet powered Black Beetle. 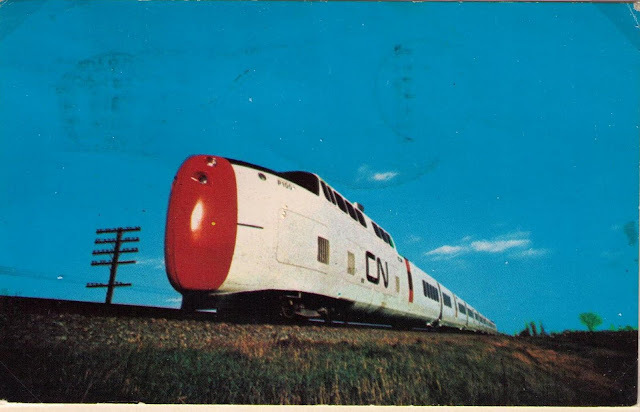 According to bogoboo.com, the ER22 is the Soviet attempt at high speed rail in the 1970s. 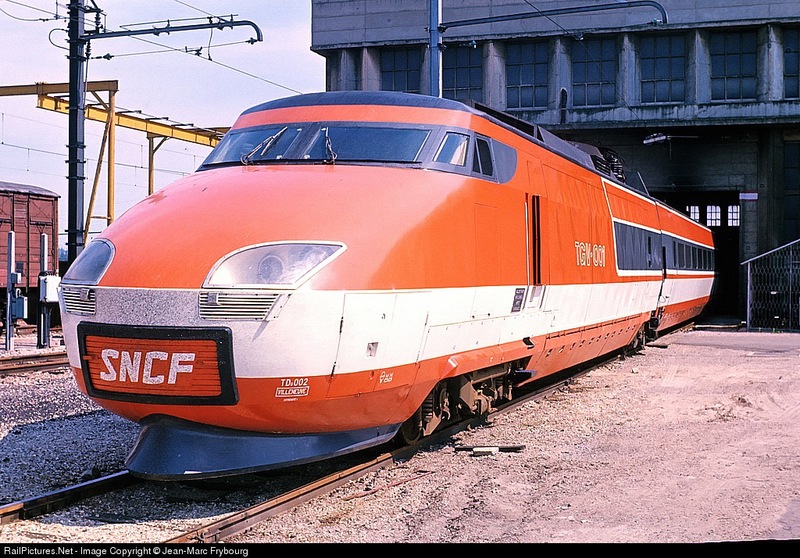 Lots of great train and locomotive shots can be found at Train of the Week. you "didn't know GM made trains"? seriously??? Electro-Motive Corporation (later Electro-Motive Division, EMD) started making diesel locomotives in the 1930's in Cleveland, Ohio and LaGrange, Illinois.